Want to start your own YouTube channel or just need to take screencasts of your Android device? Nowadays this can be easily done with the right screen recorder app for your smartphone that will allow recording your screen, even share it upload it and edit it as you like without much effort. 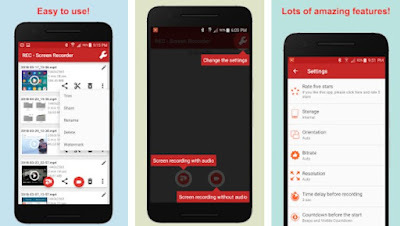 We did our research and we discovered an amazing screen recorder app that will help you with taking a screen recording of the highest quality.